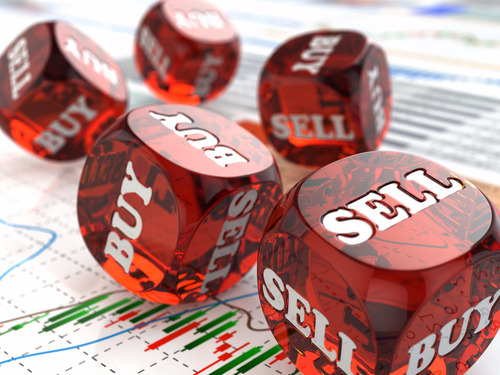 One benefit of as a trading-devotee is that you can benefit when the price of a stock or currency is going up or down. This is often a misunderstood concept because many people don’t understand how one can make a profit when the price of a stock is going down. Assume that you have a $1000 to invest. You screen the stock market and find company A whose shares are trading at $10 per share. You do your analysis and figure out that investors are mispricing the price of the share. Your analysis tells you that the company should be trading at $5. To benefit from this situation, you should go to your broker and borrow 100 shares. Of course, the broker will require some premium to lend you the shares. After borrowing the shares, you should sell them. At this time, you will have $1000 in cash while your broker will have the same 100 shares. When the shares drop to $5, you decide to return the shares to the broker. This means your broker’s shares will be worth $500 with your profit being $500. This is the simplest way to explain what a short trade is. However, the short will not always work out. In the above example, if the share price of company A rises to $15, it means the broker’s value will be $1500. In this case, your value will be -$500. This is what is referred to as a short squeeze. It is a situation where investors drive a stock’s price so high that investors that have short the company cannot take more losses. Short squeezes happen in a number of situations. One, they happen when a trader has done the wrong calculations of the value of the company. Second, investors of the company can decide to add more money in the stock which will lead to a higher stock price. Third, the company can receive a takeover bid from another company at a higher price. Last but not least, a short squeeze can happen when the company announces major changes that investors and analysts think are positive for the company. A good example of a short squeeze is a company called Ulta Beauty (NYSE: ULTA). Ulta is a company that deals with beauty products. It sells its products in its online store and in its retail spaces. In the past year, a number of people have come up arguing that the company is overvalued and placed short orders. However, the company has been reporting great financial reports. This has led to a higher price for the company’s shares as seen in the chart below. Investors who short the company two years ago, have suffered a major short-squeeze because the company’s shares have moved from $125 to the current $253. There are a number of ways of allocating your funds in these companies. First, you should look at insider information. Consider whether the managers of the company are selling or buying stock. If they are adding to their stock, this means they are showing confidence in the company. They know something that the short sellers don’t know. Second, look at the people who are invested in the company. Huge investors like Carl Icahn usually have many analysts who look at the companies they are investing in well. Luckily, you can find this information for free in a number of portals like Yahoo Finance. 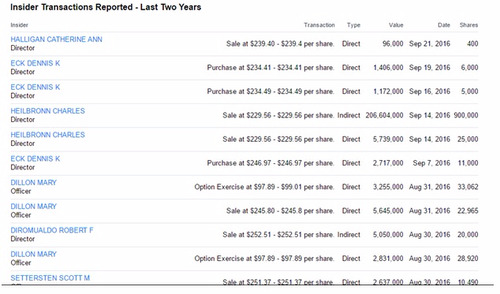 In the case of Ulta the insider transactions reported in the last two years are shown below. To benefit a lot from a short squeeze, you need to know when shares of companies are likely to be mispriced. In many cases, they happen during the earning season where companies reveal their earnings for the quarter and make projections. If a company offers good past and future metrics, then you can buy the company. Also, you can be contrarian. This is where you buy when everyone is selling. For instance, after the US election, many people sold shares because they believed Trump would be worse for the economy. Then things started changing and the market started reaching new highs on a daily basis.